In 1998, Procter & Gamble created a new product category in the laundry aisle by launching Febreze Fabric Refresher, the first product of its kind to eliminate unwanted household odors from soft surfaces. 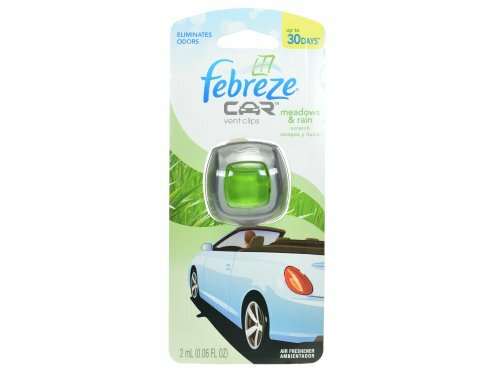 Now, twelve years later, Febreze continues to lead the fabric and air care categories while bringing new product and scent innovations to market. Throughout its history and successful product introductions, Febreze has become more than a mass retailer favorite.it's truly a breath of fresh air. If you have any questions about this product by Febreze, contact us by completing and submitting the form below. If you are looking for a specif part number, please include it with your message. Bright Air - Super Odor Eliminator Cool & Clean 14Oz 6/Carton "Product Category: Breakroom And Janitorial/Cleaning Products"
Air Wick - Scented Oil Refill Lavender & Chamomile .67Oz 2/Pack "Product Category: Breakroom And Janitorial/Cleaning Products"